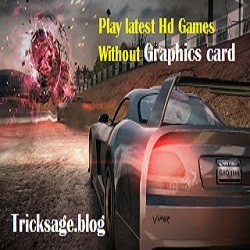 Many times we are stuck up with a system that just doesn’t provide enough juice to run the latest game…the result being- you either spend a pot of money (atleast Rupees 3500 or 70$) for getting the latest graphics card or you just read reviews of games like Crysis , Far Cry on gamespot and feel like a noob,fully knowing that your system just won’t be able to support it. Take heart ! Here’s a wicked software with which you can beat 128-256 MB of graphics card requirements with a very modest 1GB DDR2 RAM. It uses a part of your RAM as Graphics card memory. For example,if you got 1GB DDR2 RAM,then it’ll use 128MB of it as a Virtual Graphics card,and the remaining 896MB will be used as a regular RAM. Cool right….so you can Virtually emulate NVIDIA GeForce TI 4600,NVIDIA GeForce FX 4900 ULTRA,ATi Radeon 8500,ATi Radeon 9800 PRO. After downloading the software,first install it. Next step,select the options as shown.Note that i have selected the VendorID as 4098 and DeviceID 20400 as i want to select the ATi Radeon 9800 PRO graphics card(use the index provided in the screen on the right). Click on Run.Doesn’t matter even if you don’t save the batch file.Your ready to roll ! Please note that the .exe file is to be selected from the main folder,and not the shortcut present on the desktop. I got Oblivion 4 and Neverwinter Nights 2 to work using this. For running Oblivion however,you need to install a patch called Oldblivion.Click to download and follow the instuctions on Oldblivion site. For Neverwinter Nights 2,you need to tweak the stuff a bit. Go to Start->Run->regedit.Then press F3 and search for hardwareinformation.memorysize.Click on the file,and modify the binary values to 00 00 00 08.This fools the system into believing that you have 128MB video RAM.Then select only the ‘emulate hw tnl caps’ option.Do not select any other.Select ATi Radeon 9800.Click on Run. *Then,Enter the device id and the vendor id for the graphics card you need from the available graphics card on the right..